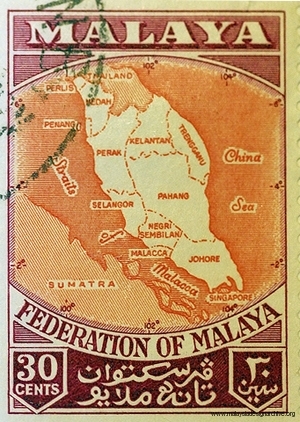 This stamp shows a map of ‘Malaya’. 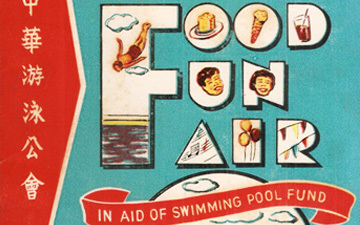 It was issued on May 5, 1957. 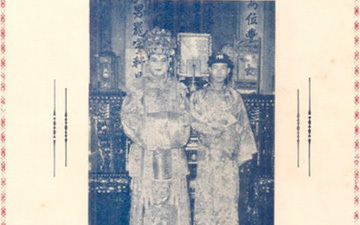 It was the last stamp issued before Independence day of August 31st, 1957. 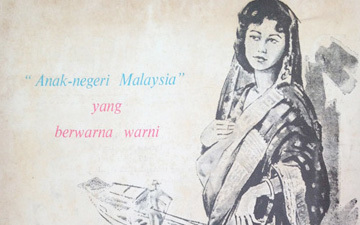 The calligraphy at the bottom read ‘Persekutuan Tanah Melayu’. 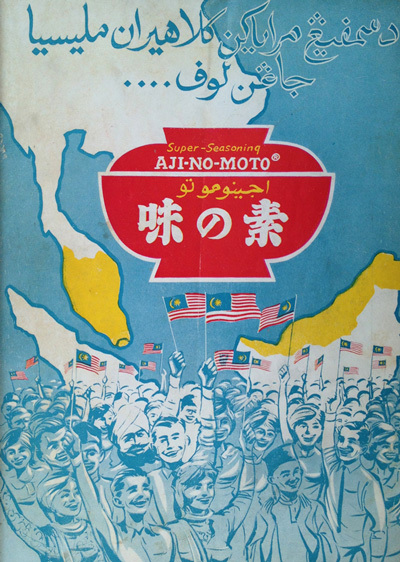 Malay for ‘Federated States of Malaya’.